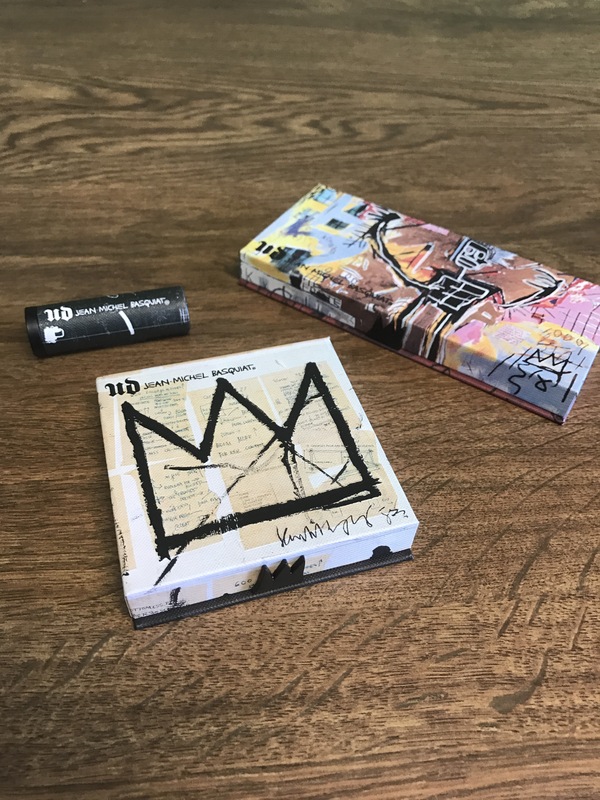 Hello Babes, I wanted to tell you a bit about my experience with the new UDxBasquiat collaboration. 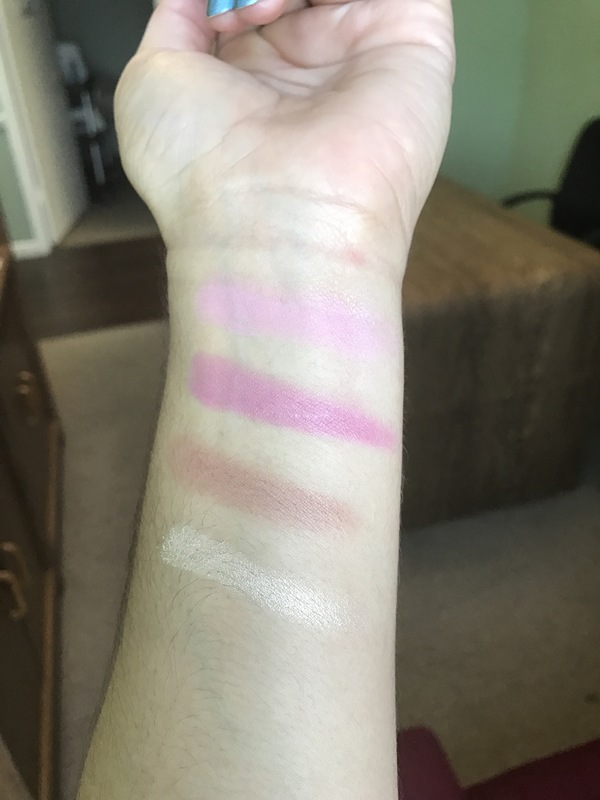 The collaboration launched last week (just in case you’re living under a rock), so I took to Ulta to swatch it out. I’m a HUGE Urban Decay fan!! Hear that Urban Decay?! I kept my expectations low since collaborations of any kind tend to let me down. It started pretty innocently, I didn’t expect to purchase anything from the collection. Turns out, I’m weak! How could I resist? 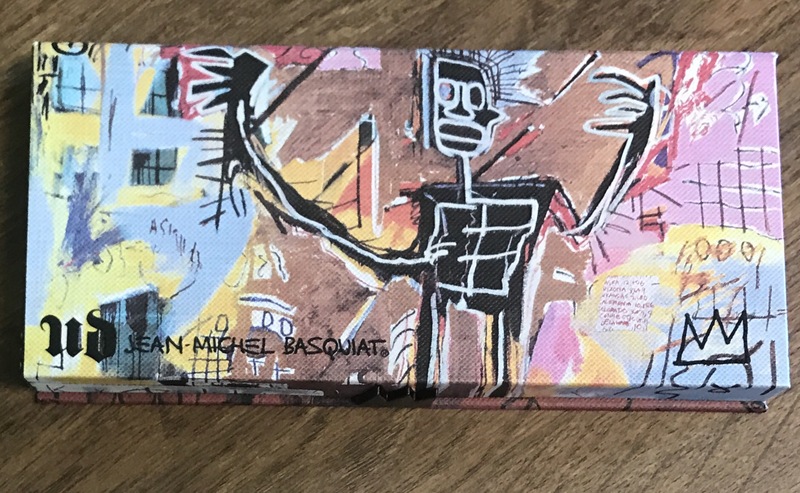 The beautiful array of colors UD put together, or Basquiat’s work on the packaging. Fun fact: the packaging its actual canvas and is designed so you can hang it on your wall (which I did). 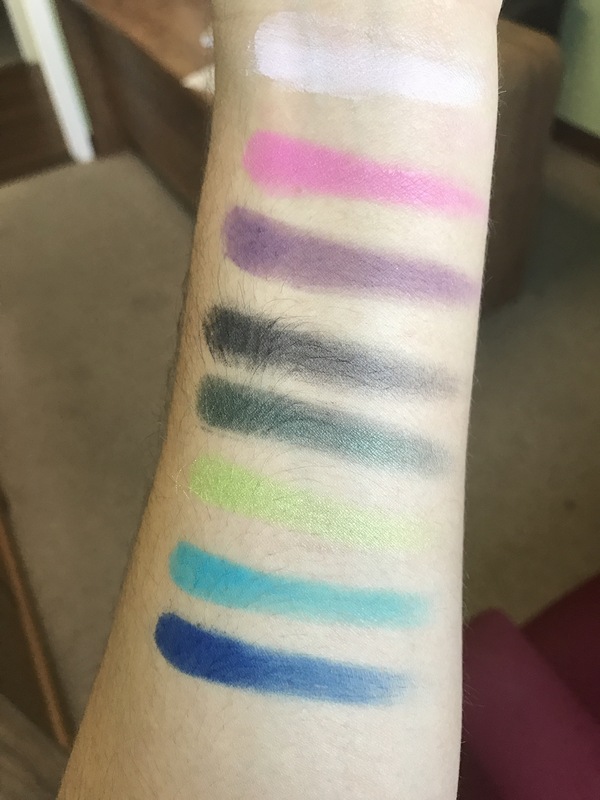 The colors are ultra pigmented and swatched beautifully. Finally, a collaboration I can get behind. I ended up purchasing one of the eyeshadow palettes, one of the lipsticks, and the blush palette (I have a problem). All right ,all right, all right (Matthew McConaughey voice), the Gallery blush palette comes with two blush shades X-Rated and Noho, a highlighter in Now’s The Time, and bronzer in the shade Jawbone. 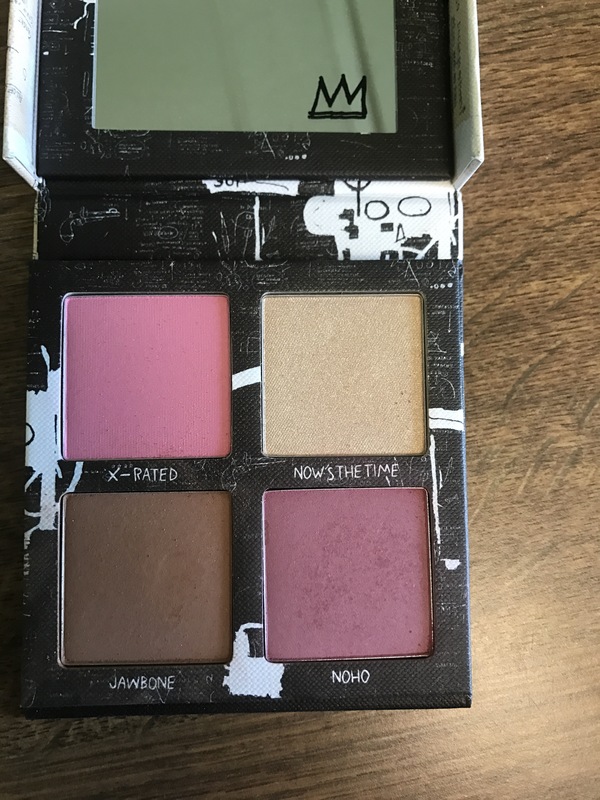 The deciding factor in ultimately purchasing this palette was definitely the blush in the shade Noho it’s very different from any blush shade I have ever had, a deep berry and it looks spectacular with my skin tone. I was also smitten with the highlighter, we’re talking glow to the gods shine, what’s not to love. The entire blush palette is also quite lasting. I tested it myself, went out bowling and it didn’t wear away. It’s stayed on entire time, even got a little schvitsy there towards the end. 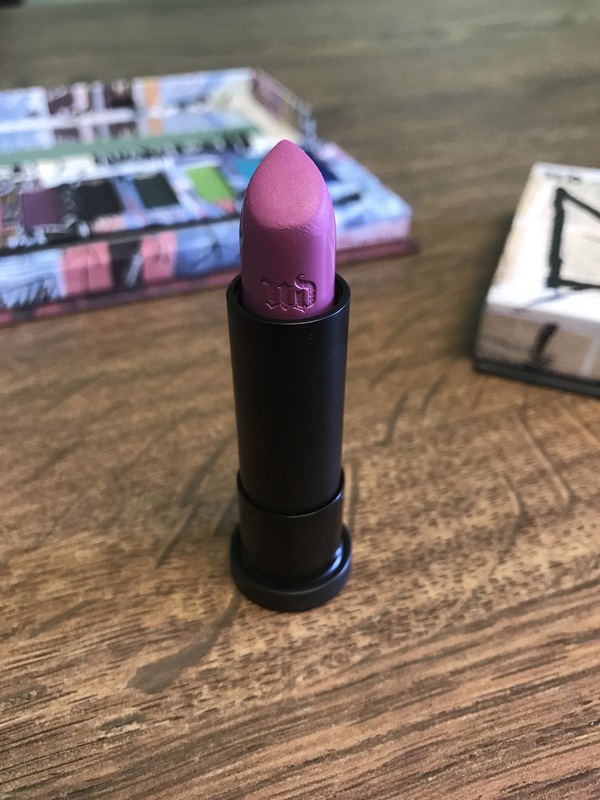 OK The lipstick….. Let me start by saying it felt like I had nothing on my lips, so comfortable the entire time… Like how is this the 1st UD lipstick I buy? It’s so good! The color payoff is perfect, nice and opaque one swipe and done. It didn’t feather and lasted a couple hours before I reapplied, I only needed to reapply because I was eating. 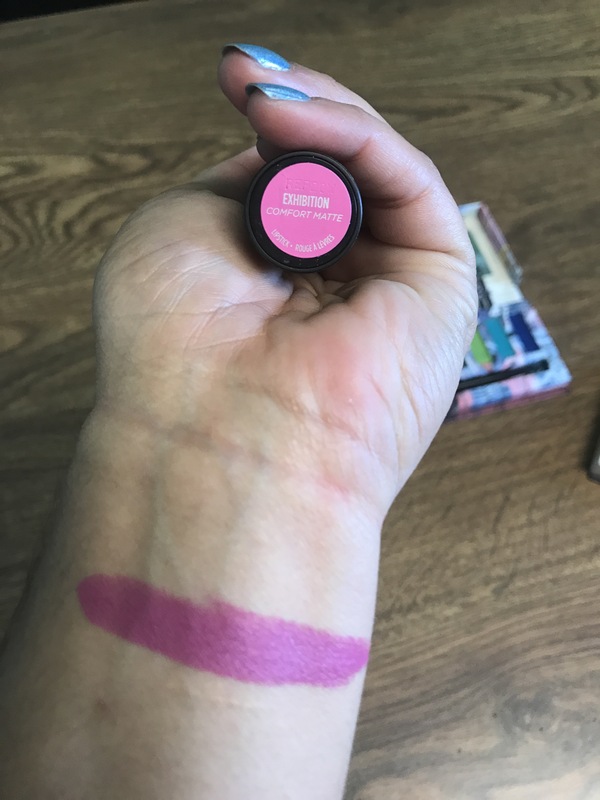 This lipstick also doesn’t wear off ugly or patchy, it just starts to fade in the middle of the lips. I will say it’s not 100% transfer proof, but it never slipped or slid out of place. I’m considering the jewel of this collection to be the Tenant Eyeshadow Palette. It’s a rainbow of colors, influenced by a revolutionary artist pave the way for others like him. If you need to add colors to your collection of boring neutrals then this is the palette for you. Bad call? I know, when I awoke and looked at my face, I fully expected to see a complete and total mess, instead I was shocked that my face looked just about the same way it did before I knocked out. My right Eyelid had faded a little bit, but that’s the side I slept on. 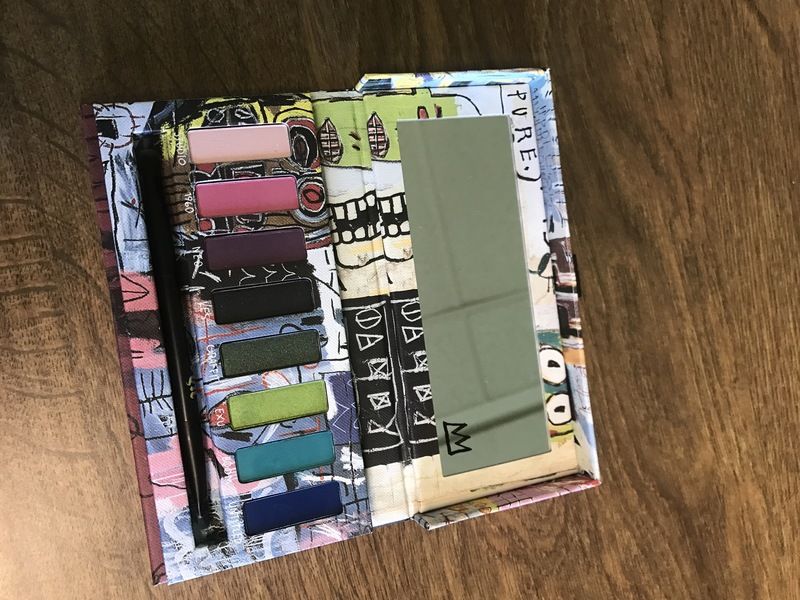 This palette is so gorgeous and colorful, I can totally see myself using this again this spring and summer. I love to add pops of color this time of year. Marc Jacobs dew drops review. coconut gel highlighter. I’ve been experimenting with MJ’s Dew Drops since influencer sent it to me complementary to sample (gotta love influencer). I did experience a bit of a learning curve with this product. Although, I am very experienced using highlighters from all across the board, I’m talking, drugstore to high-end make up lines; this is my first liquid highlighter. I know, I know “never tried liquid highlighter?” I just wasn’t brave enough, till now. I know I said liquid highlighter but it is a gel consistency, not runny in any way, thank the gods (old and new)! This made it easy to work with. A big thing you’ll notice with the dew drops is it’s very versatile. You can use it on your body, use it as you would a regular highlighter, or you can mix it into your foundation to give it a luminous finish. I did it all! I’m talking I mixed it into my foundation. 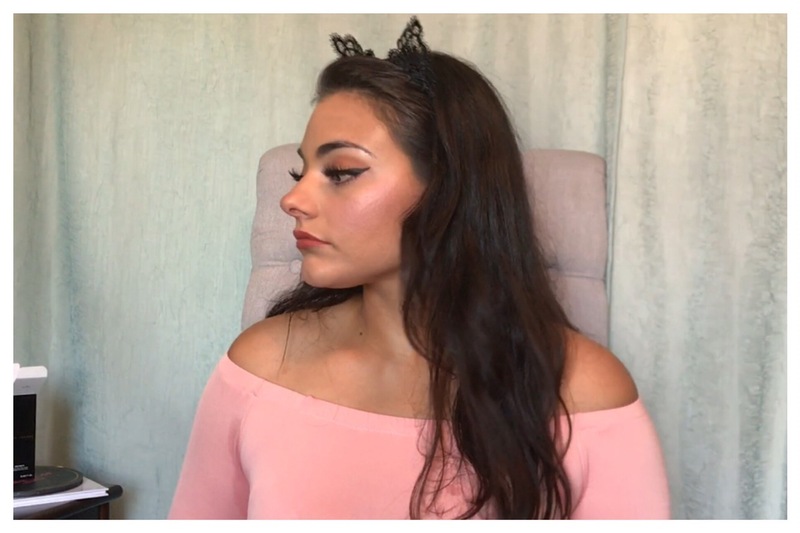 Turned myself into a mermaid and put it on my cheekbones, Cupid’s bow and collarbone. You know what, I put it everywhere! It provides this healthy glow without looking overwhelming or unnatural, if that even possible with a highlighter. This product is really unique in that way. 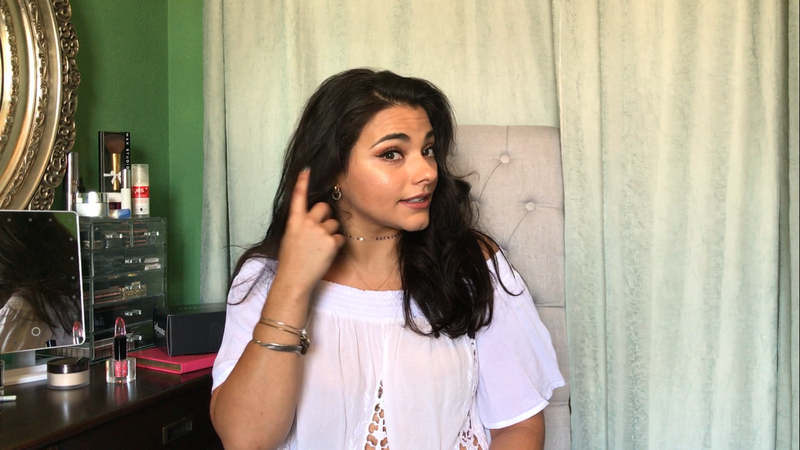 I was able to wear this in the daytime without looking like I was wearing too much, it provided the perfect Glow! My favorite way to use this has to be mixing it into my favorite foundation, Urban Decay, All Nighter. Which has a pretty matte finish, not the look I’m going for in the daytime. If I’m going out in the morning it’s just too flat on my face. This mixture of UD All Nighter and the dew drops worked really well. It was still the same long wear I expect from my foundation with an added luminosity. My skin just looked flawless and healthy. I have textured skin and larger pores around my nose and cheeks. Usually highlighter and dewy finish foundations accentuate it making them more visible. Marc Jacobs dew drops did not (it’s like a unicorn). My skin stayed looking radiant and luminous, it never settled into my imperfections. It almost seemed like I was walking around with a Snapchat filter, perfect for this spring and summer. My skin looked the nicest when I brushed over my foundation after applying with the beauty blender. Using a beauty blender alone my foundation wasn’t as full coverage and was harder to actually blend out all over my face. With the brush it blended like a dream, providing better coverage (the learning curve I was talking about). Same thing goes for the collarbone and for everything else you’re better off blending using either a brush or dabbing it on with your fingertips. I’d really like to thank influencer, had it not been for being part of this Vox Box I wouldn’t have tried this highlighter, out of dreaded fear. Two thumbs up for this bad boy!! So, if you’re looking to glow without blinding, Marc Jacobs, Dew Drops are for you. For as long as I’ve been doing my makeup, over ten years people, my eyes have always been my favorite feature. It hasn’t always been so easy. It took years, before YouTube was even a thing, to get the decent color pay off and was able to achieve a crease free look. With that being said, I finally did it and I’m in a sharing mood. What do I do to keep it vibrant and crease free you ask? Now, I’m not a professional this is just my method but, it’s a method I use to put my eye makeup through the test every day! It must last from 8 AM till at least 8 PM, ladies and gents I finally perfected my technique. Hallelujah! That’s 12 hours with no creasing. Pretty good right?! Not only does it need to last a long period of time but it also has to withstand some, no, lots of sweating, as I teach a kids Brazilian Jiu-Jitsu class and work out with the big boys after. Stick with me, I’ll teach you all you need to know about keeping that eyeshadow in place. The first thing I do is hydrate, hydrate, hydrate followed by priming my entire face. A hydrated and primed canvas is a happy canvas. On to the eyes, use an eyeshadow primer. The two that have worked the best for me is the Urban Decay Eyeshadow Primer Potion (original) and the Too Faced Shadow Insurance Primer. Both deliver the same great quality and will keep your eyeshadow in place all day. That being said, Urban Decay Potion stays in my makeup kit at all times. Once you have hydrated, primed your face and eyes, you’ll be ready for the last step before you start laying down eyeshadow. This last step will ensure that the eyelid is ready for easy blending. Set your lid with either a pressed powder or a loose setting powder. Laura Mercier’s Translucent Setting Powder is my powder of choice. This ensures that you will be able to blend all of the eyeshadow seamlessly and effortlessly. Sometimes eyeshadow primer that isn’t set with powder can make it challenging to blend everything together. If you follow my directions your eyeshadow will stay vibrant and crease free all day. Try it out for yourself, you won’t be disappointed! I know that it can seem like a lot of extra work on a day to day basis but these extra steps truly do make the difference.